...is the only travel Dubrovnik guide you will ever need! Who is Dubrovnik guide for? Is Dubrovnik the port my family and I will like? Should we take the kids with us or leave them on the ship? What time should we get off the ship? How much time will the sightseeing take? Do we need to book a shore excursion? Can we get into town on our own? What is there to buy in Dubrovnik? Are there any points of interest outside of Dubrovnik? Is this the day we should spend on the beach? If you have recognized yourself in at least three of these points, 'Dubrovnik, Croatia – How to save time and money on your Mediterranean Cruise' guide is the book for you! What could go wrong without Dubrovnik guide? Are you tired of making the wrong choices when it comes to spending the day in port? Don't you just hate when you decide to go see XY and then your fellow cruisers tell you the major point of interest was actually YZ? Does it make you cringe when you realize that you've spent hundreds of dollars on your shore excursions only to realize you could have reached the points of interest with the local bus? Are you frustrated to find out, on the morning of the call, the only way to get off is using tender boats but it takes hours to offload all the shore excursions first? Does it make you want to pull your hair out knowing you've seen the piece of info you really need somewhere on this website but you cannot find it now? Or even worse, you cannot access internet on the ship right when you need it? You are taking a risk of happening it all over again if you set off out into port without reading this Dubrovnik guide first or even taking it out with you on your tablet. 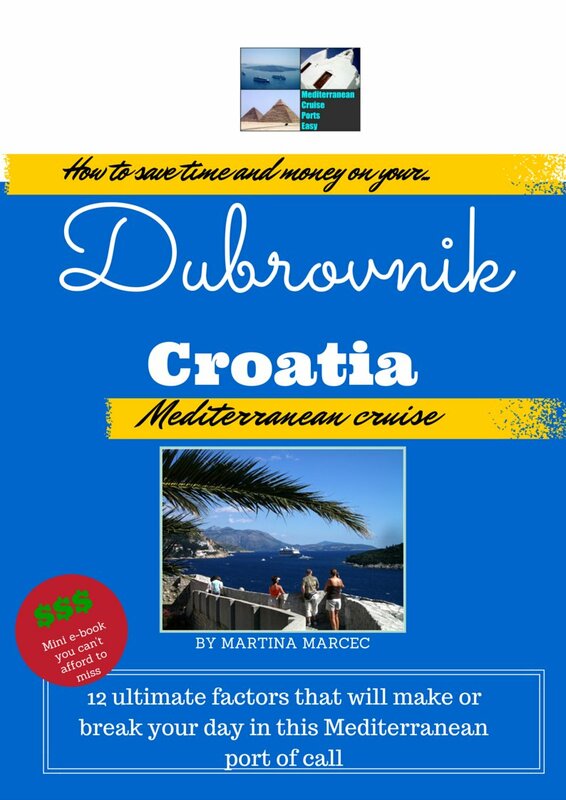 Concise, to the point and fun to read, 'Dubrovnik, Croatia – How to save time and money on your Mediterranean Cruise' is determined to help you make the most out of your 10 hours or less in port and all that within your budget! How does Dubrovnik guide actually differ from the website? The book is not just the copy of the website! Offers some tips and places never mentioned on the website. But if you asked your kids or your aunt Mabel what were the things they would love to do more of in the same port, you would hear something completely different. That is why 'Dubrovnik, Croatia – How to save time and money on your Mediterranean Cruise' breaks down the content of this Dubrovnik guide into 12 different chapters. Each one of them takes a look at Dubrovnik from a different perspective, answering needs of different people at different points in their life. What can you expect from this Dubrovnik guide? 1) I love history: Dubrovnik is an ancient town with some fantastic centuries old architecture. No wonder it's been chosen for the set of the Game of Thrones. Getting to know about its history is a must but this ebook will teach you how to focus on things that really matter while you're trying to just enjoy your day out there. 2) I love art: some cities are famous for their art galleries and museums. This Dubrovnik guide reveals where Dubrovnik stands in regards to that and how to see the highlights with great savings! 3) I love shopping – Europe is famous for shopping! Will you be returning back to the ship with your hands full of shopping bags or should you skip that activity in Dubrovnik? 4) I am looking for style, glitz and glamour – is Dubrovnik a stylish destination? Can you expect and Hollywood stars sightings? 5) I travel with kids – Your kids will love Dubrovnik, the trick is showing them the right points of interest. In this Dubrovnik guide find out which activities, museums and attractions will make them have a fantastic day. 6) I want to have a romantic day out with my sweetheart – is this your honeymoon or anniversary cruise? Are you getting ready to pop the question? Find out if Dubrovnik may be just the perfect place for that! 7) I like fun and nightlife – some smaller cruiseships use Dubrovnik as their turnaround port. Find out what to expect when it comes to nightlife if you get to stay here overnight. 8) I travel on a budget – this is definitely one of the most popular sections in this guide. It is possible to have a fantastic day in Dubrovnik without breaking a bank. As someone who has done many mistakes in five years of visiting there, I would know. If you ever wanted to pick my brain about how to save in Dubrovnik, this chapter is your chance. 9) I would like to spend the day on the beach – is Dubrovnik a Mykonos-style beach destination or should you leave suntanning for some other port of call? 10) I want to get into port on my own – not booking the shore excursions is one of the biggest factors when it comes to saving big in Dubrovnik. Read the step-by-step tutorial on how to reach the town by bus or taxi and save big! 11) I love untouched nature – find out about two secret spots too good to be missed and how to reach them on your own. 12) I love small charming fishing villages/hilltop towns – if you have been to Dubrovnik before you will love this charming town in its vicinity. 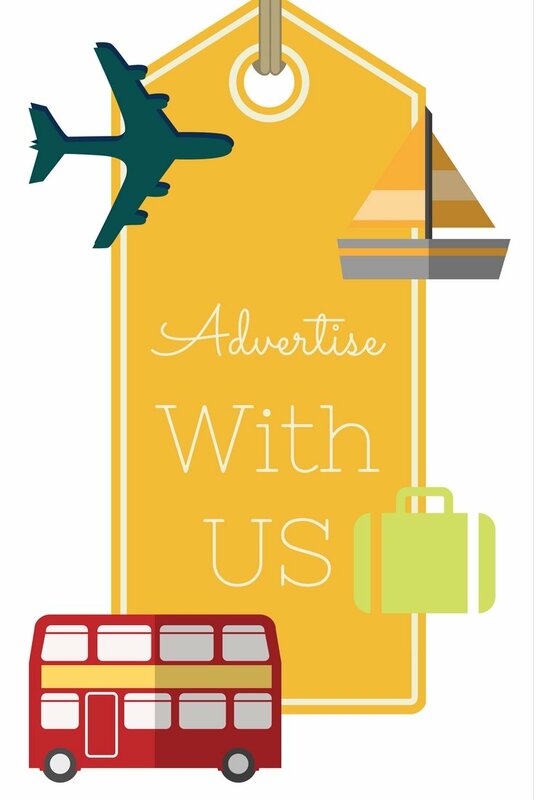 Find out how to get there on your own and save big. 6) Feel like this book has payed for itself at least 20 times over... if not more! Are you ready to order your Dubrovnik guide? Click on the button below and you will be taken through an super easy payment procedure. Your PDF eBook will be delivered to you within a few seconds!